Wedding Bells at Abel Township! – Zombies, Run! Wedding Bells at Abel Township! In exciting ‘Zombies, Run! 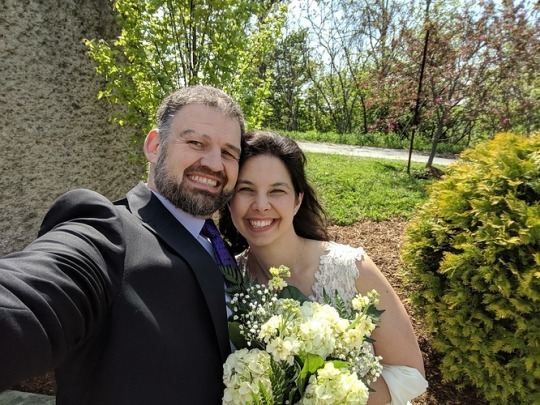 as a dating app’ news, Rob Rowald and Lisa Shadforth tied the knot yesterday (stealing a march on a certain royal wedding that is dominating the news cycle currently). As far as we’re aware, it’s the first ‘Abel Township wedding’! Rob and Lisa originally met via a shared love of surviving the zombie apocalypse, both being members of an unofficial ZR Facebook fan community. The collapse of civilisation as well as the distance between Chicago (Rob) and Toronto (Lisa) were not enough to keep them apart… and the rest, as they say, is history!